OK, it’s not a proper Underground station. In fact, Underground trains make up barely a third of what passes through its walls. 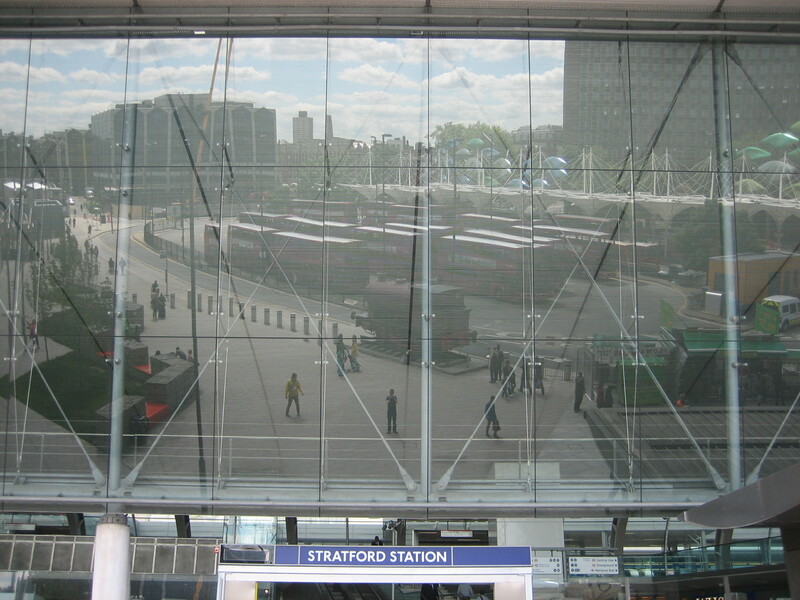 But the present incarnation of Stratford would not exist were it not for the extension of the Jubilee line in the 1990s, and that’s enough of a reason to admit it here. You want more reasons? Why, in the words of the poster for Thunderball: look up, look down – and look out! Stratford does it everywhere! That’s yours truly in the centre, trying to capture some of what Ian Fleming would call the “gunmetal splendour” of this beast of a building. 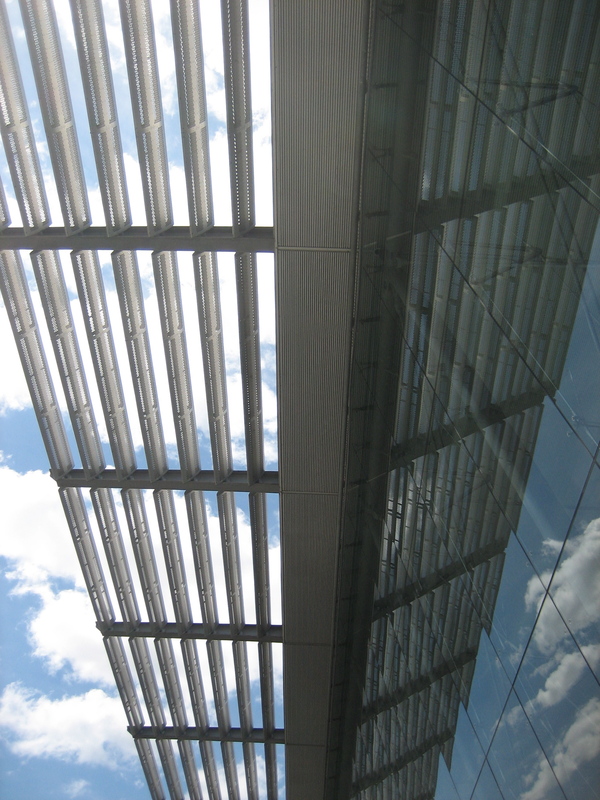 Chris Wilkinson and Jim Eyre started with a few dashes on a pencil sketch of the roof in 1994 and ended up delivering a resplendent full stop to the Jubilee line in 1999. Or maybe semi-colon is a more apt punctuation point, given Stratford’s purpose as part-terminus, part-gateway to everywhere from mainland Europe to Westfield shopping centre. 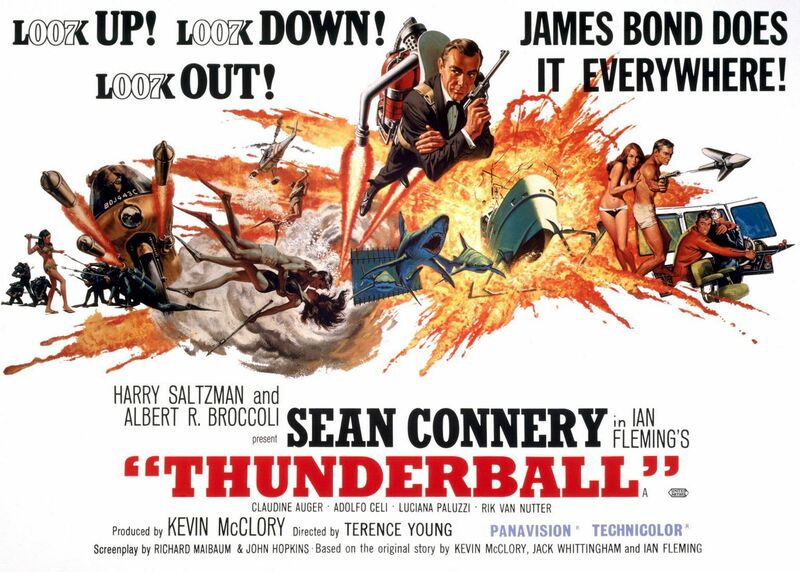 In keeping with Thunderball’s tag-line, an exclamation mark would just as well suffice. For this is at heart a confoundedly beautiful place, defying the tangle of lines and tumult of passengers that threaten discord, and instead offering a sort of harmonious, lyrical melee. It’s all down, or rather up, to the roof. The multi-level layout plus the enormous mezzanine allow anyone predisposed to milling or moping to get up close to the roof, but also to gaze on people below. 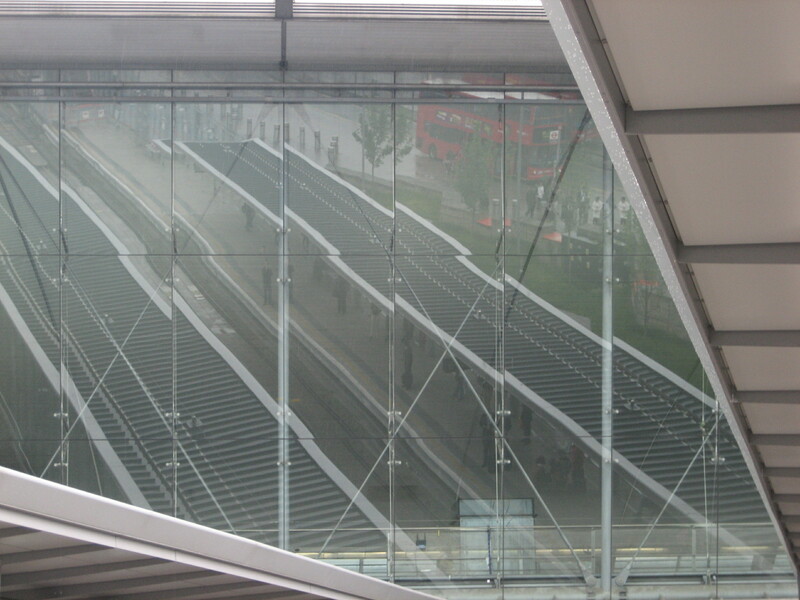 I found that during London 2012 those views down on to the station floor afforded just as much of a spectacle than anything going on inside the Olympic Park. But then watching something working by design, as opposed to luck, chance and accident, is always more preferable. Especially if you’re a non-sportsman. 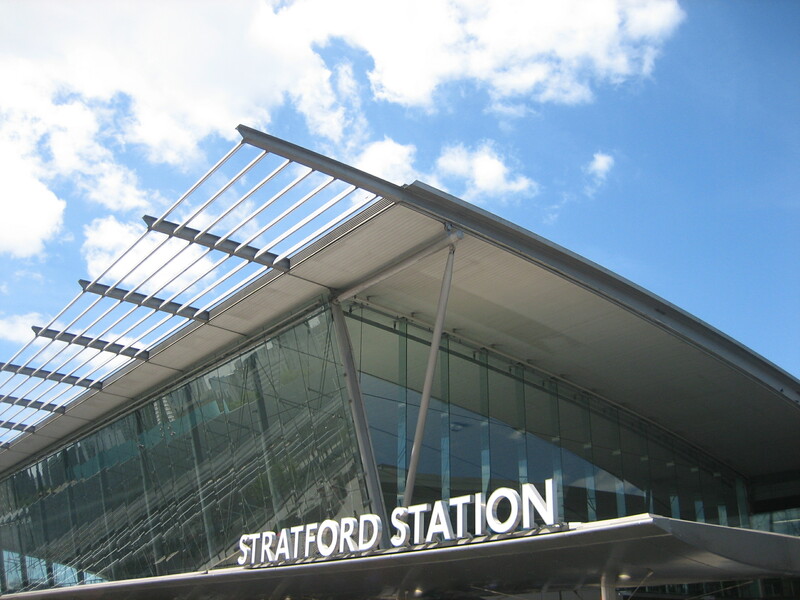 From whatever angle, even when all you’re looking at are angles, Stratford station roof is the hat perched jauntily sideways on the head of the Underground. You can see for miles. You can also see four miles’ of people. But either is fine. I pass through Stratford almost everyday and it’s always been a nightmare to use. Cascades of people that intersect abruptly against each other and an odd way to represent the history of the area – a station built as a wave? A nautical history is a bit tenuous. It’s massive but funnily enough seems too small every time they add a line (nature abhors a vacuum and all that). Lord knows what it will be like when they add Crossrail and hundreds of thousands more people. 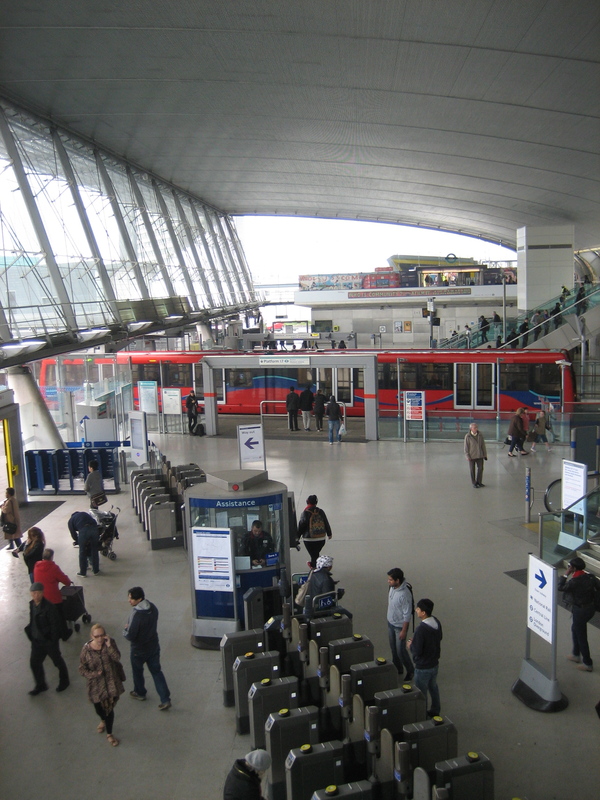 Stratford – only lovely when you hardly ever have to use it. unfortunately though it’s a masterpiece of design, apparently it’s impossible to clean because the architects didn’t consider how cleaners might access it. so the glass is getting dirtier and dirtier. The glass didn’t look too bad when I was last there. But as an infrequent visitor, as opposed to a regular user, I’m almost certainly guilty of missing stuff like that.